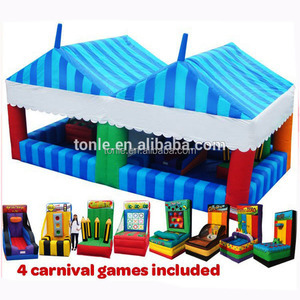 Inflatable carnival games (4in1) Description: Inflatable carnival games (4in1) for sale These Inflatable carnival games (4in1) are fun for the participants and even more fun to watch! Easy to set up and safe for people of all ages our Inflatable carnival games (4in1) offers hours of fun and can be used indoors at trade shows and outdoors at picnics, parties and corporate events. 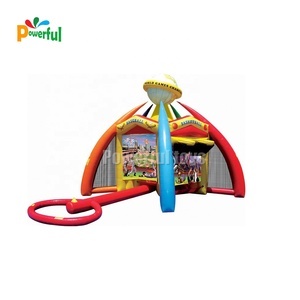 Packaging Details Inflatable carnival games (4in1) is packed by strong PVC bag, air blower and other accessories by carton Accessories Free repair kit, paid air pump and blower. Factory direct sale, competitive price, and discount is offered up to the amount (3) . Can we change the size and color based on the original9 Yes, the size and color can be custom-made according to your requirement. ( 4). What kind of guarantee you give9 Our inflatable products can be used for more than 24 months. 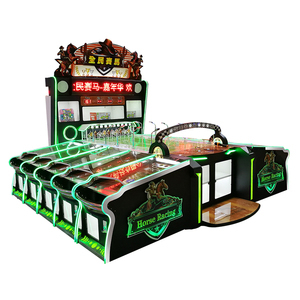 Alibaba.com offers 6,688 carnival games products. About 49% of these are other amusement park products, 19% are inflatable bouncer, and 11% are coin operated games. A wide variety of carnival games options are available to you, such as free samples, paid samples. There are 6,705 carnival games suppliers, mainly located in Asia. The top supplying countries are China (Mainland), Taiwan, and Hong Kong, which supply 99%, 1%, and 1% of carnival games respectively. 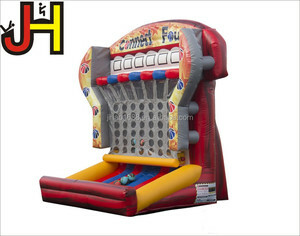 Carnival games products are most popular in North America, Mid East, and Domestic Market. You can ensure product safety by selecting from certified suppliers, including 2,427 with Other, 1,197 with ISO9001, and 47 with BSCI certification.